The New York Style Hinge and Pintle sets are the most common hinges sold for operable shutters. 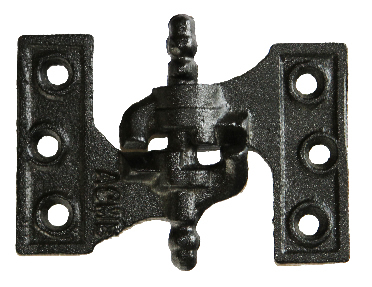 These hinges are sold in “L” hinge sets and Mid hinge sets. They address the requirements of most shutter applications. All items within the New York Style collection are made from heavy gauge galvanized steel or marine grade stainless steel with a black powder coated finish and include our proprietary shutter-lock system. Hinges and pintles can be mixed and matched to achieve the desired offset. Hinges come complete with stainless steel mounting screws. 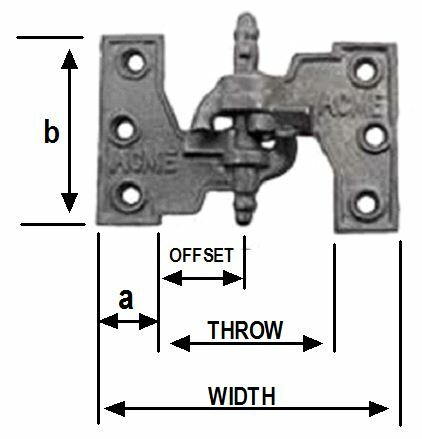 Pintle offsets and hinge offsets must be specified for each hinge set. 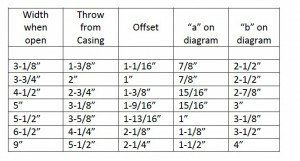 How and where the shutters are mounted will dictate the offset required for your application. 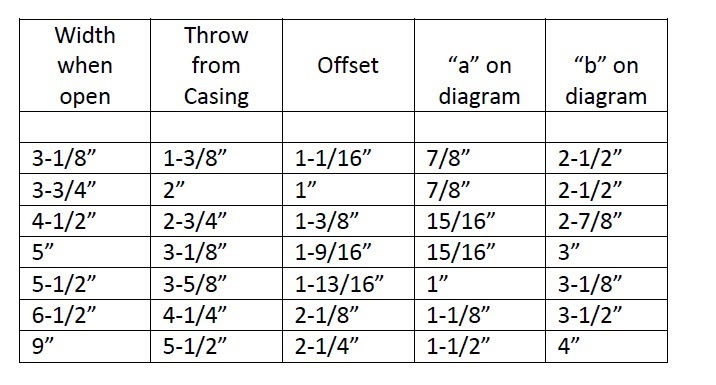 See our Hardware Mounting Offset options for information. Included: 2 left hand hinges, 2 right hand hinges, 4 pintles, and stainless steel screws. Mid hinges provide additional support for larger shutters. The added support can help keep these shutters from warping. One mid hinge should be added on all shutters greater than 48 inches tall and a second mid hinge should be added on all shutters greater than 96 inches tall. All mid hinges come with our proprietary shutter-lock system. The once patented Acme, Lull and Porter hinge is used in applications when enough wood trim is exposed within the window opening to mount shutters. They are made from cast iron to provide the best quality and detail and are powder coated black to give a long lasting finish. One side of the hinge is mortised into the edge of the shutter and the other into the window casing. 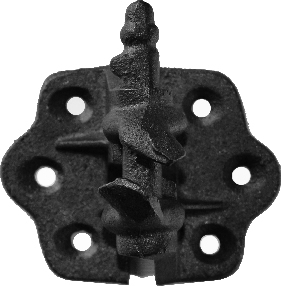 This unique hinge is designed to hold the shutter in the open position without the use of a shutter dog and prevents accidental removal of the shutter from the hinge pin. The Clark’s Tip shutter hinges are intended for use if shutters are flush with the mounting surface. They function similar to the Lull & Porter hinge but they mount on the surface of both the shutter and window casing. 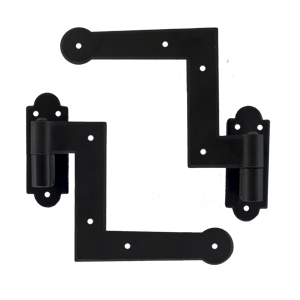 Clark’s Tip hinges are made from cast iron to provide the best quality and detail and are powder coated black to give a long lasting finish. Pintle shims are installed behind the pintle. They can be used to help align the pintles on an uneven wall or to increase the pintle offset, if needed. Black plastic shims are 1/4” thick.